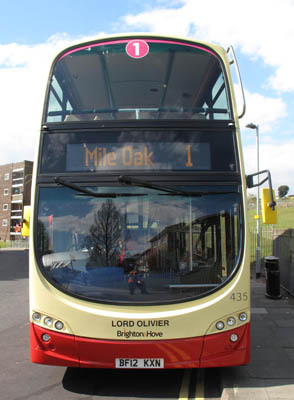 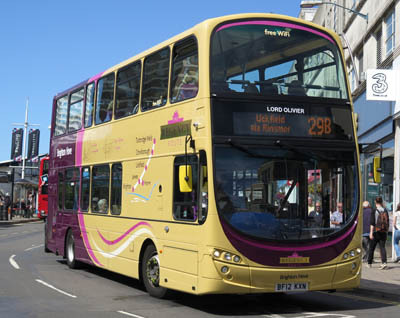 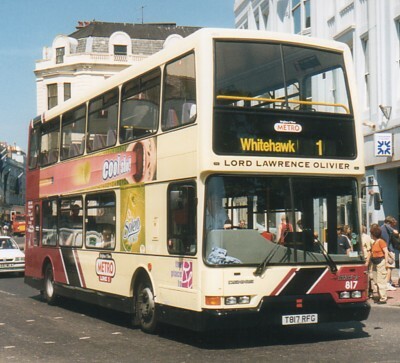 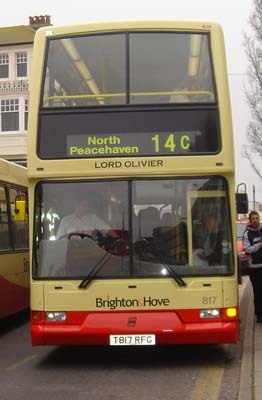 817 Dennis Trident - carried name since delivery in May 1999, originally named Lord Olivier, then changed to Lord Lawrence Olivier (error!) 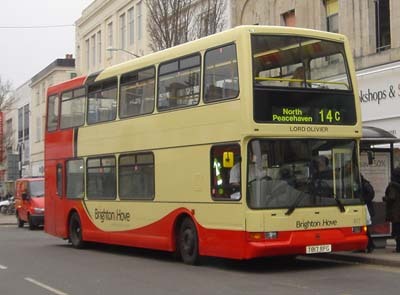 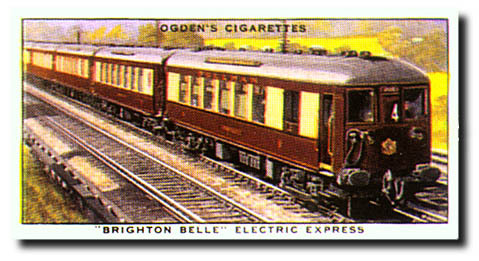 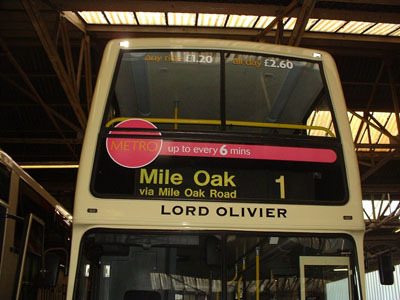 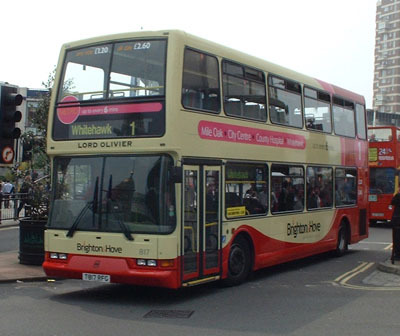 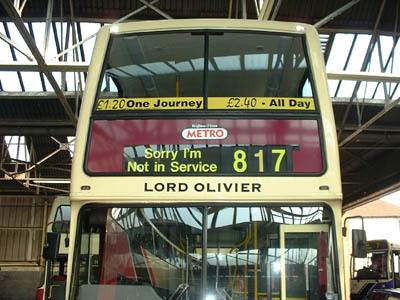 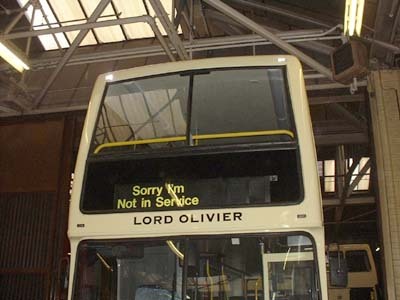 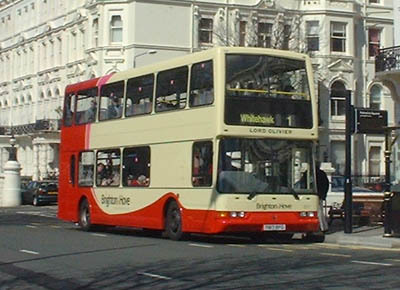 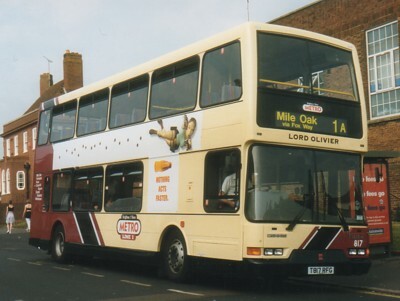 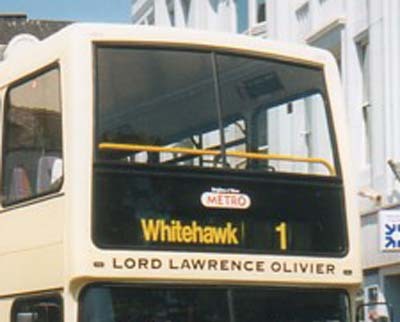 during July 1999, then back to Lord Olivier, originally on METRO Line 1 then repainted into new livery from March 2004 and then new METRO Line 1 livery from April 2004, in March 2005 repainted into standard livery. 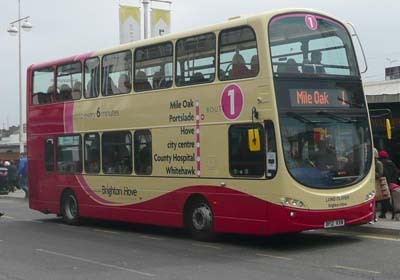 March 2012 name transferred to new Volvo Gemini 435 on Route 1. 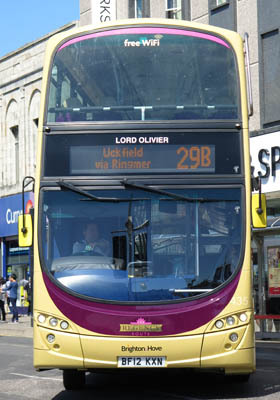 Bus reapinted into Regency livery July 2016.